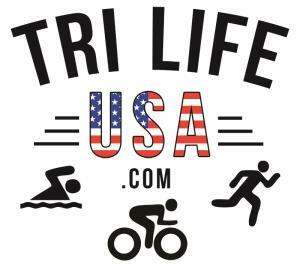 Michael Cottle Tri Life USA, Inc. Honestly, I have coached the young, old, male, female, para, couch2Tri overweight with no fitness to Olympian athletes. It has always been an academic and enjoyable experience. There is no such thing as a lousy finish line experience watching one of my athletes cross always brings great joy and a rewarding fatherly feeling. Coaching is all about relationships; I'm not talking about all the training science and technology that comes with a coach at this point. What we need to find out is who you are and what you want out of this relationship. What drives the passion within, the Who What and Where that’s important to you and the goals that need to be accomplished along the way. I firmly believe Triathlon Coaching is Life Coaching at its finest, building a plan that helps you find life’s balance between Faith, Family, Friends, Work, in the timeless pursuit of Endurance and Nutrition Excellence only comes with communication, and it is personal. I also believe that for you to call me Coach Cottle is sacred grounds built on trust an honor that I cherish. A coach should be available when you need a coach not a scheduled meeting time in the future, your name and photo go in my contacts there is no wrong time to call I'm your coach 24/7/365 text or call 321-228-1248 with so many one-size-fits-all training programs options out there today how do you navigate. Please don’t base your health and fitness on price alone you owe it to yourself to have a real coach. All athletes required to have a powermeter and smart bike computer like Garmin Edge1000 or multi-sport watch like Garmin 935 or equivalent. Success. Coach Michael Cottle has been notified of your message. To hire Michael Cottle as your coach, select the coaching service that is right for you.